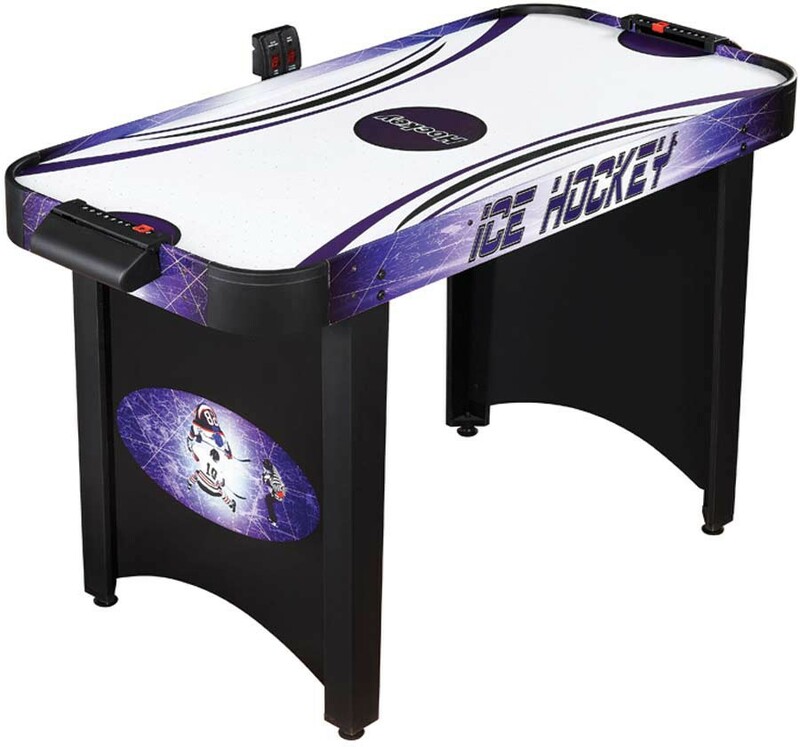 The Hat Trick brings fast action arcade fun to your home with this 4' air hockey table. The table is expertly crafted with CARB-certified MDF material that is far superior to flimsy particle board and plastic. The table also includes a high-output 110V blower and sturdy L-shaped legs with independent stabilizing leg levelers. The playing surface is fully poly-sealed to allow max airflow and great puck action. 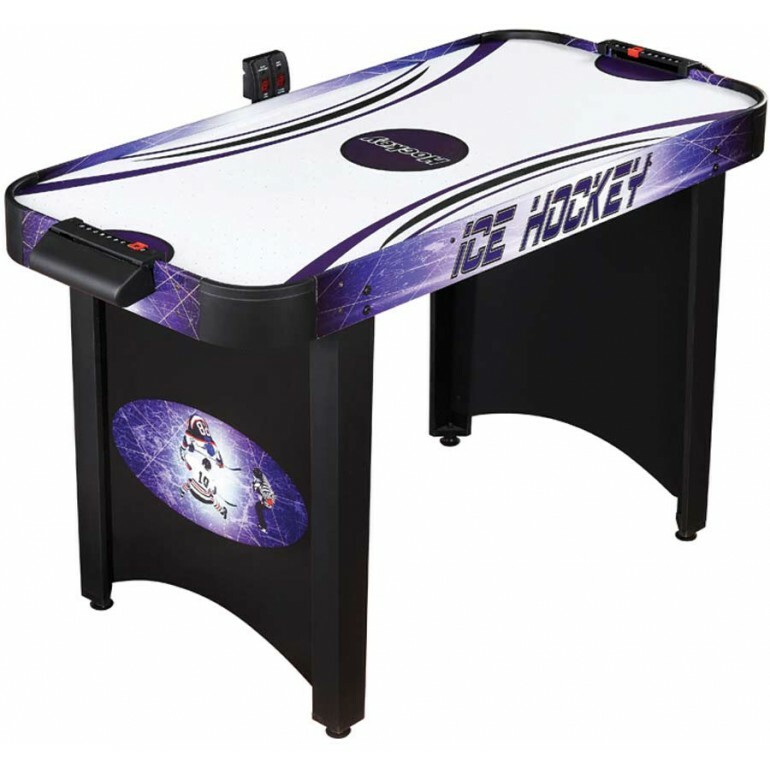 The table has built-in goal boxes and a manual slide scoring system to keep track of all the action.